Our range of products include confectionery metal detector. We have created expertise in manufacturing, exporting, and supplying the Confectionery Metal Detector. Our Confectionery Metal Detector is widely used and highly appreciated for detecting ferrous metals, non-ferrous metals and, stainless steel. High sensitivity and longer life are some of the striking features that this Confectionery Metal Detector possesses. Designed to perfection, this Industrial Metal Detector of ours is also offered in customized (tailor made) aperture sizes. Our Confectionery Metal Detector suits different specifications and requirements of the clients. 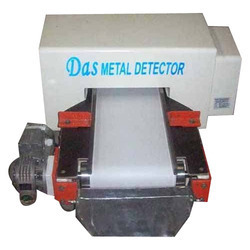 Therefore, we are counted as one of the reliable Metal Detector Exporters in the market.